Item number E178 from the MOA: University of British Columbia. 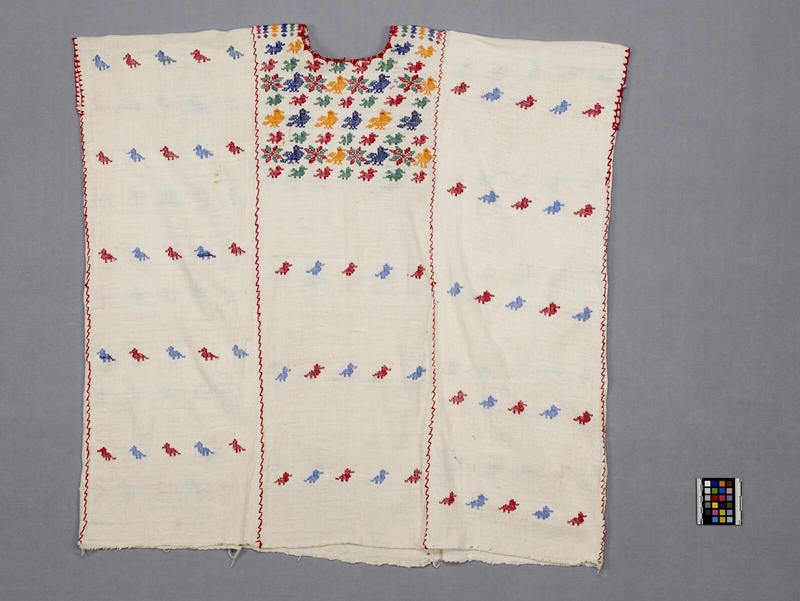 White garment with embroidery. The garment has a square shape with a round neck and no sleeves. The front and back are divided into three vertical panels by red stitching. 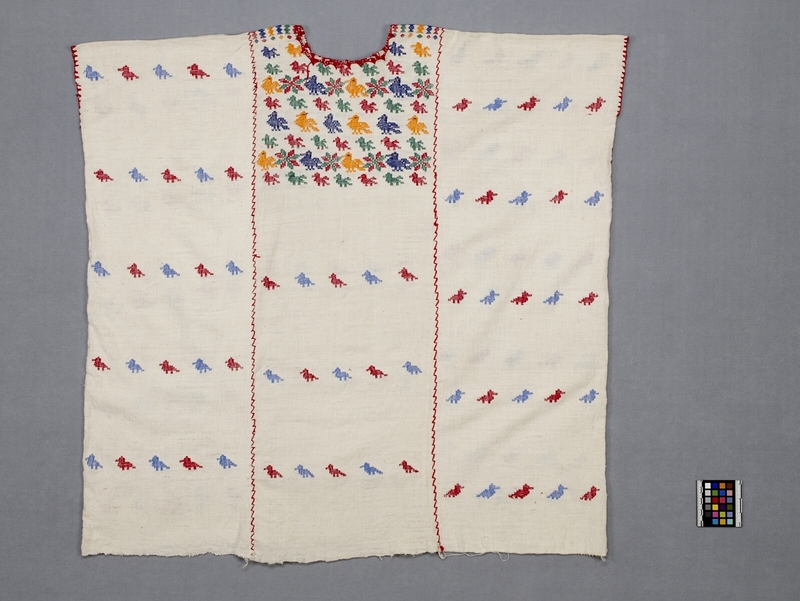 The lower centre and outside panels have a bird motif in alternating blue and red. The upper centre panel is dense with bird and floral motifs in yellow, blue, red and green. The bottom edge is unfinished. The inside is unlined.